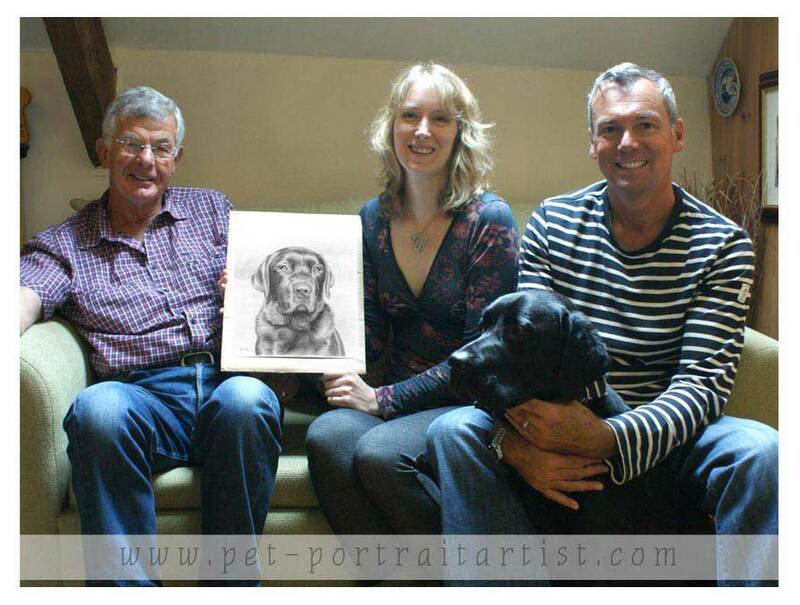 We were contacted in early 2012 to ask if we could send a gift voucher as a suprise to their friends Andrew, David and their wonderful black labrador Arthur. It was to be for a pencil drawing 12 x 10 and they would be in touch with photos. Andrew emailed a few weeks after receiving the voucher and we arranged for them to visit the studio so we could take photos of Arthur. Being a black dog, he was fairly tricky to photograph and so we took Arthur and Tom out for a walk along the lane and took some lovely photos of Arthur along the way. 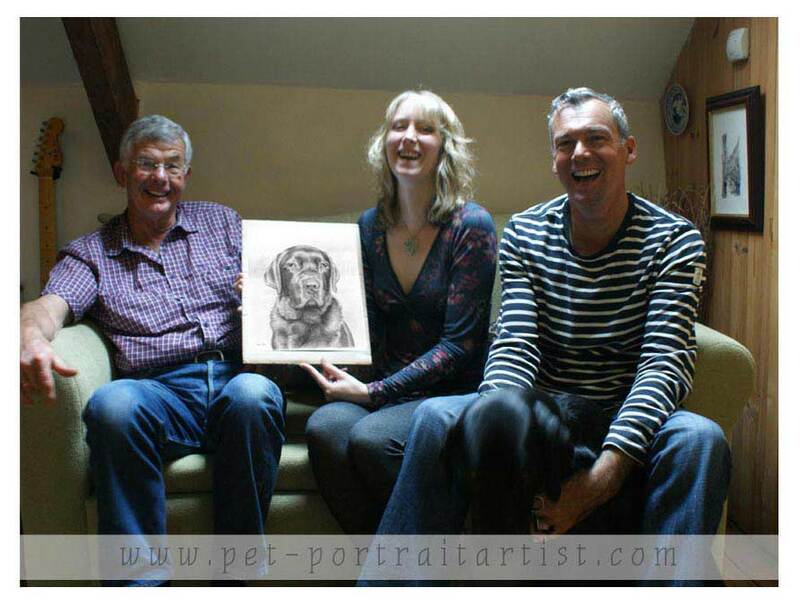 The portrait was completed and Andrew, David and Arthur were delighted. They arranged a special tip to visit our studio to collect the portrait and Nick took some photos of us all with the portrait below.